Joseph Mangano directs the Radiation and Public Health Project (RPHP), an independent group of scientists and health professionals dedicated to research and education of health hazards from nuclear reactors and weapons. While at RPHP, he has written or co-written dozens of articles in medical/scientific journals. 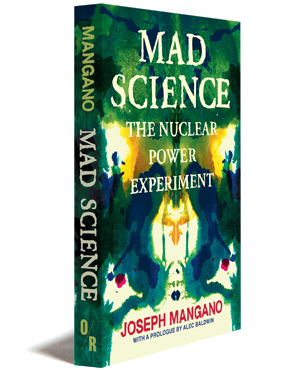 Mangano is the author of Low-Level Radiation and Immune System Damage: An Atomic Era Legacy (1998) and Radioactive Baby Teeth: The Cancer Link (2008). He played a prominent role in the Tooth Fairy Project, a study of Strontium-90 levels in 5,000 baby teeth, which remains the only study of radiation levels in bodies of Americans living near nuclear plants. Mangano holds a Masters degree in Public Health from the University of North Carolina and an MBA from Fordham University.